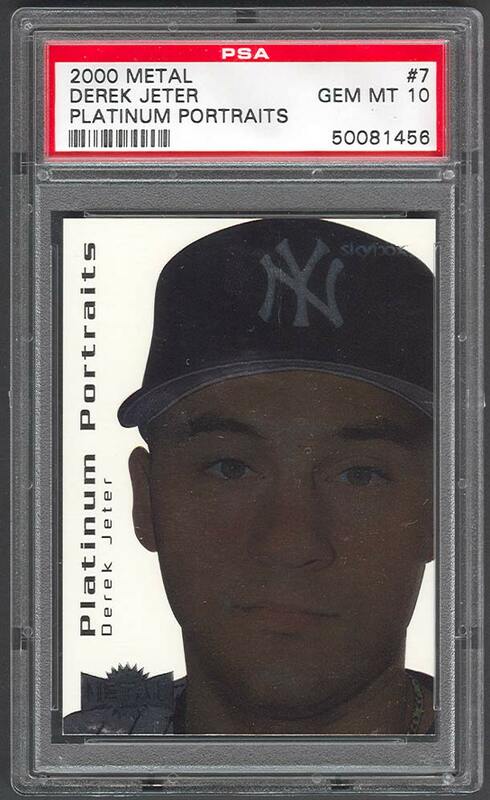 Comments: Sometime in 2007, I was searching eBay for a nice portrait of Derek Jeter. 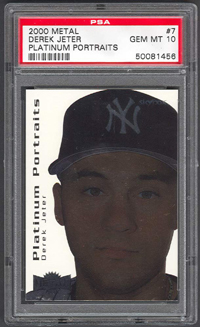 After scowling through dozens of card pictures I decided the 2000 Metal Platinum Portraits was perfect. I purchased a raw copy and had it graded by PSA - a NM MT copy. 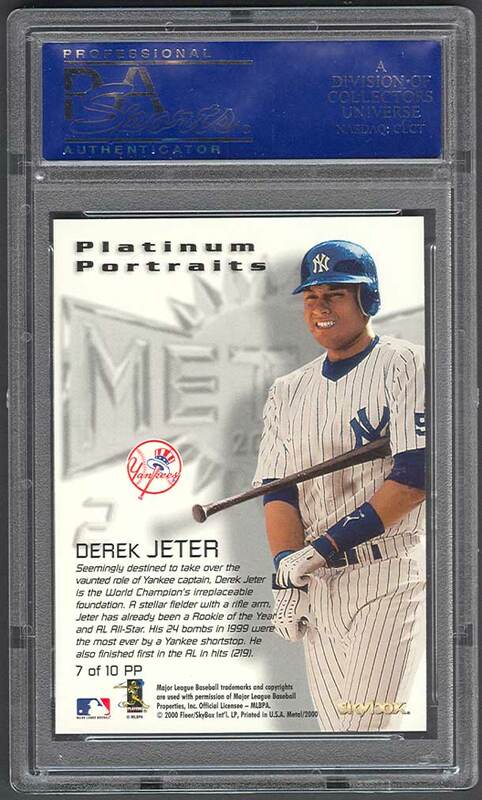 Then a few months later I was walking The National floor (2007) and to my right was a dealer with dozens of stacks of modern graded cards in a case. I couldn't believe my eyes. At the top of one of the stacks - there it was - a GEM MT copy. $30 and it was mine - one of my favorite National purchase memories. I wasn't expecting to find something like that at the show and it involved no work. Considering there were several hundred cards in that case, it would have taken many, many hours to go through them all. I would have walked right by them since there's not many modern cards I'm looking for. Luckily the one I needed caught my attention and made me stop.